GCF Church’s vision is to Reach our city to change the world by loving Christ, loving people, and pursuing God’s mission. 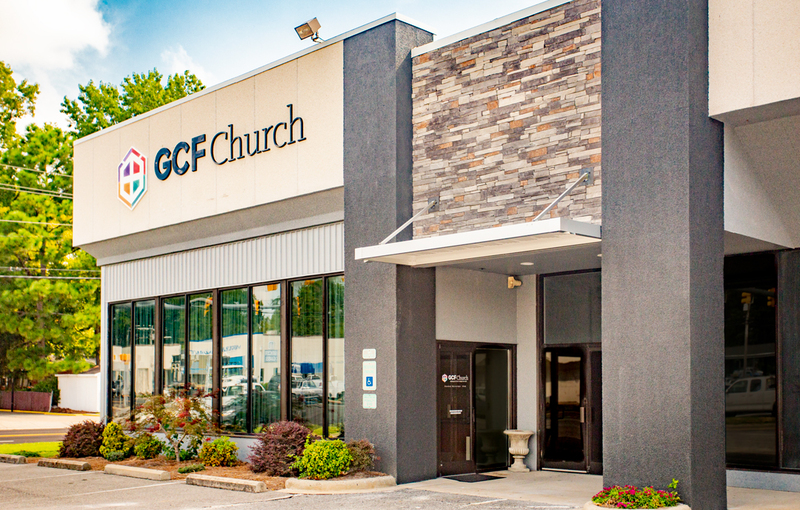 GCF Church’s mission is to exalt God by equipping His people to extend His kingdom. The Bible and the Gospel: We believe in the authority of the Word of God and the proclamation of the gospel for the salvation of sinful humanity. Family: Building strong families through strong marriages, children’s ministry, youth outreach, and support for single parent homes. Discipleship & Leadership: Making disciples and training leaders for community and world impact by empowering each unique calling whether in the marketplace or ministry. Diversity & Reconciliation: Ethnic diversity and reconciliation to model God’s heart for every tribe, every people, and every nation. Students: Student outreach to win the next generation for the kingdom of God. Community: Church community (multi-generational) by engaging relationally and providing support for singles, married, and families (e.g. Life groups). Outreach: City outreach through engaging our communities, Gospel proclamation, and social responsibility (e.g. Building Hope Community Life Center, etc.). Missions: World missions through the proclamation of the gospel and humanitarian service.